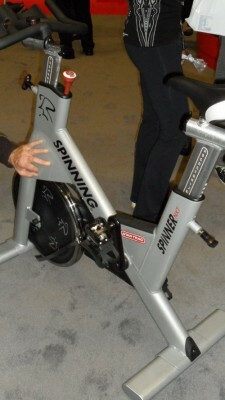 Here are pictures from IHRSA of the new Spinner NXT and the all new Spinner Blade. 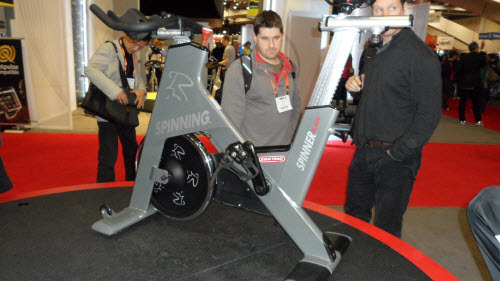 I'm going to guess that Spinning still sees a large market for conventional Indoor Cycles that would cause them to redesign the NXT. 4/15 update: I had a very informative discussion with Josh Taylor today about all the changes they have made to the NXT. I hope to have a separate post about it early next week. The only significant change I can see is the addition of fore/aft adjustment of the handle bars. My understanding is that the crank arms on these new cycles us a proprietary (as in unique) pedal spindle thread size that will prevent using any other types of pedals 🙁 That would mean that Schwinn Triple Link pedals (a common upgrade for indoor cycles) will not be an option and studios will have a very limited choice of replacement pedals. What's up with that? Although it looks very stylish, from a technological perspective the new Spinner Blade is a bit disappointing to me. 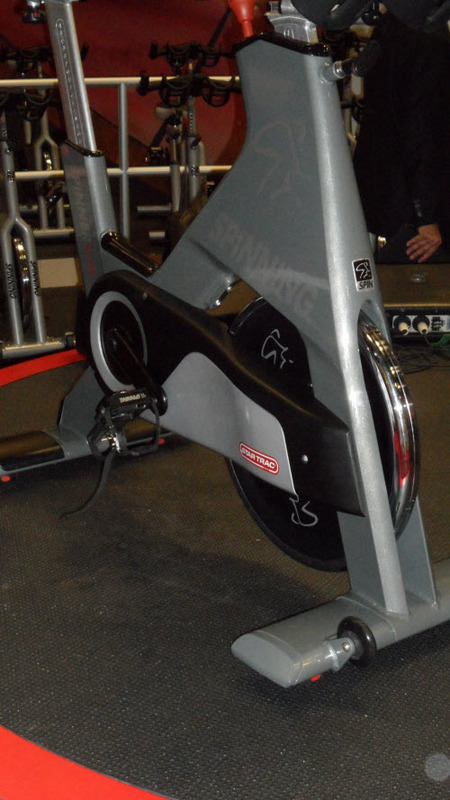 This will be Spinning's cycle with power – and they're using the old friction system for the resistance? 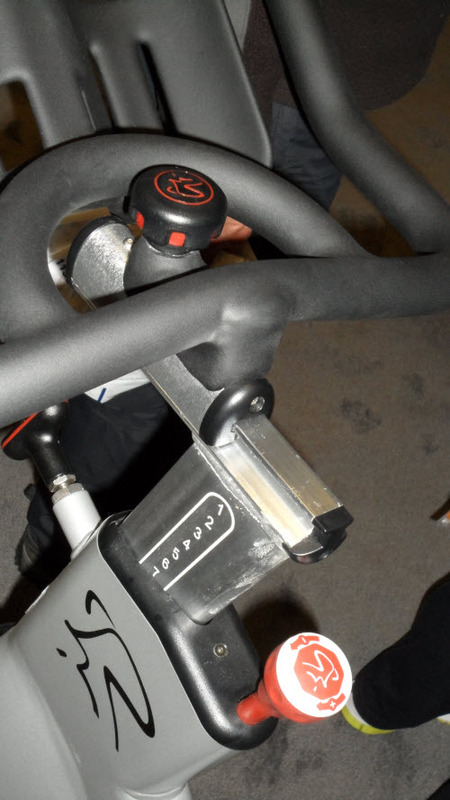 That's so 1990's, especially when Keiser, Schwinn and FreeMotion are all using vastly superior Magnetic Resistance. No clue as to how they are measuring the amount of force applied to compute a riders power output. This display cycle doesn't show any computer/console . They must not have it completed yet. Will the Spinner Blade be ready by WSSC? Did you try one of those , do they have power? Ialways liked their design. No Roberto, the pics were just sent to me, I wasn’t there.